The Geminids are an annual meteor shower that usually occurs from December 7 to 17 and peaks around December 13 or 14. The Geminids typically have a zenithal hourly rate of 75 or more meteors. The meteor shower is produced by 3200 Phaethon, an object long suspected to be a Palladian asteroid that has an unusual orbit, one that takes it closer to the Sun than any other named asteroid. 3200 Phaethon is a rock comet, an asteroid with a comet-like orbit that leaves behind dusty debris as it travels. Unlike regular comets, which leave debris because close encounters with the Sun melt the ice on their surface, asteroids like Phaethon leave behind debris from their rocky surface. Phaethon is also referred to as an extinct comet, one that lost its ice after coming close to the Sun one too many times. Every December, Earth runs into a stream of debris left behind by Phaethon. As the pieces of debris collide with the Earth’s atmosphere at 80,000 miles per hour (130,000 kmph), they are incinerated, causing the ‘shooting stars’ to be seen across the night sky. Geminid meteors disintegrate at heights above 24 miles (38 kilometres) from the Earth’s surface. 3200 Phaethon was named after Phaethon, son of the Sun god Helios in Greek mythology, who wanted to drive the chariot of the Sun for a day, but lost control of the horses and, after scorching the Earth, fell into the river Eridanus. The river is represented by the constellation Eridanus. The Geminid meteor shower appears to originate from a point near the bright star Castor in Gemini constellation. The meteors, however, can be seen in almost any part of the sky. They usually appear yellowish in colour. Geminids are one of only two major meteor showers that don’t originate from a comet. The Quadrantids, a meteor shower occurring in early January every year, also have an asteroid (2003 EH1) for a parent body. Geminid meteors don’t move very quickly and are quite easy to spot. The average speed of the meteors is about 22 miles per second. The meteor shower is believed to be intensifying every year, with reports of 120 to 160 meteors per hour in recent years. Geminids have also grown brighter since they were first discovered. Observers in northern latitudes see higher meteor rates than those in the southern hemisphere because the radiant is higher in the sky north of the equator. The best time to watch Geminids is from 2 am, when the radiant in Gemini is directly overhead. 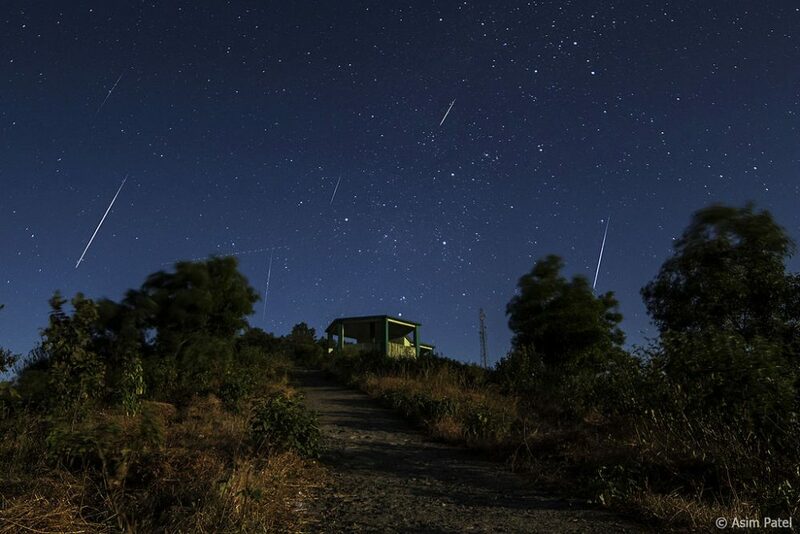 However, the meteors can be seen from 10 pm until the early morning hours. This year, a last quarter waning Moon may obscure the meteors later in the night. Geminids were first discovered in 1862, which makes the meteor shower a relatively recent discovery compared to the Leonids, first observed in 902 AD, and the Perseids, first documented in 36 AD. At the time of discovery, observers saw only about 15 Geminid meteors per hour. 3200 Phaethon is considered to be an asteroid belonging to the Pallas family, a group of B-type asteroids that includes 2 Pallas, the second asteroid to be discovered and one of the largest asteroids in the solar system. Phaethon itself is quite small, only about 3 miles across. These objects are believed to be remnants from the early solar system. Phaethon is often referred to as a “rock comet” because its orbit looks more like that of a comet than an asteroid. In 2010, astronomers observed that it was leaving behind dust tails, possibly as a result of fractures on its surface caused by the heat of the Sun. The composition of the asteroid suggests that it has a cometary origin. 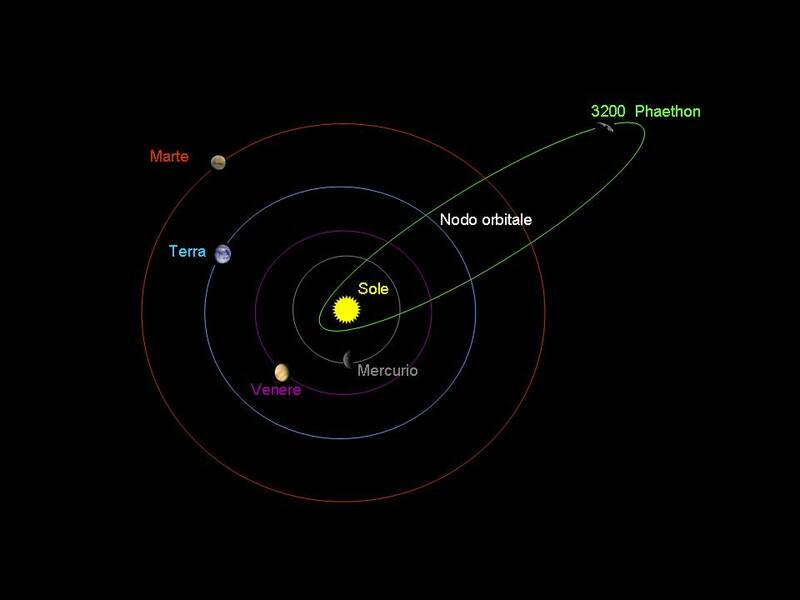 Phaethon takes about 1.4 years to complete an orbit around the Sun. The asteroid has a mean diameter of 5.10 kilometres (3.17 miles). It was discovered by the British astronomers Simon Green and John K. Davies on October 11, 1983. It was the first asteroid to be discovered using images from a spacecraft, in this instance the Infrared Astronomical Satellite (IRAS). Shortly after the discovery, American astronomer Fred Whipple noticed that orbital elements of the asteroid coincided with those of the Geminid meteor shower, identifying 3200 Phaethon as the Geminids’ parent body.